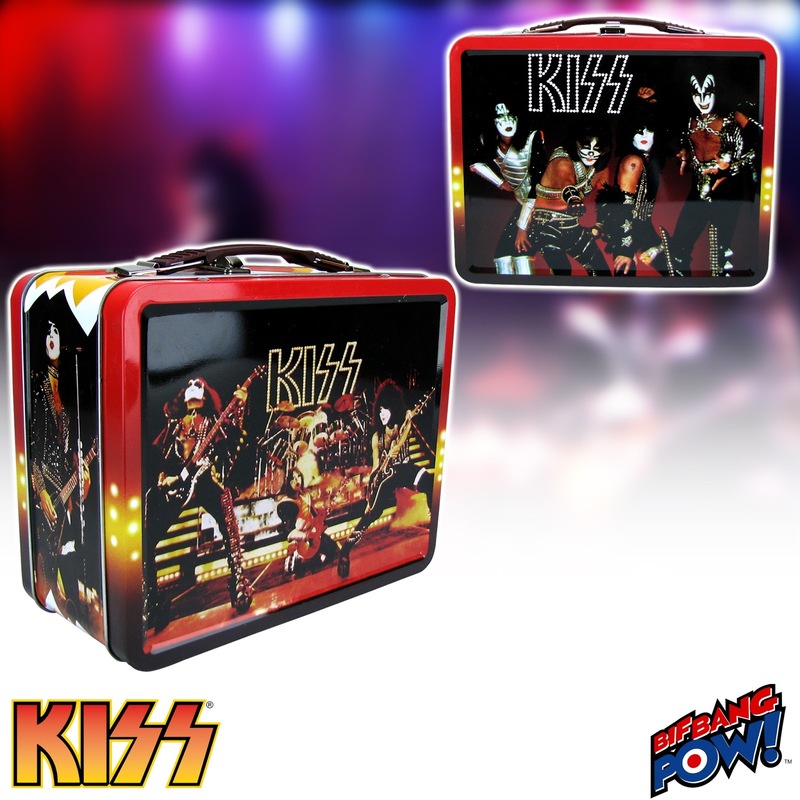 @BifBangPow: Relive 1977 with New In Stock KISS Tin Tote! The year is 1977 and KISS has launched their infamous Love Gun tour. Were you there? Maybe you just wish you had been. Well now you can remember it all with the new KISS Classic Tin Tote from Bif Bang Pow! in stock now at Entertainment Earth. 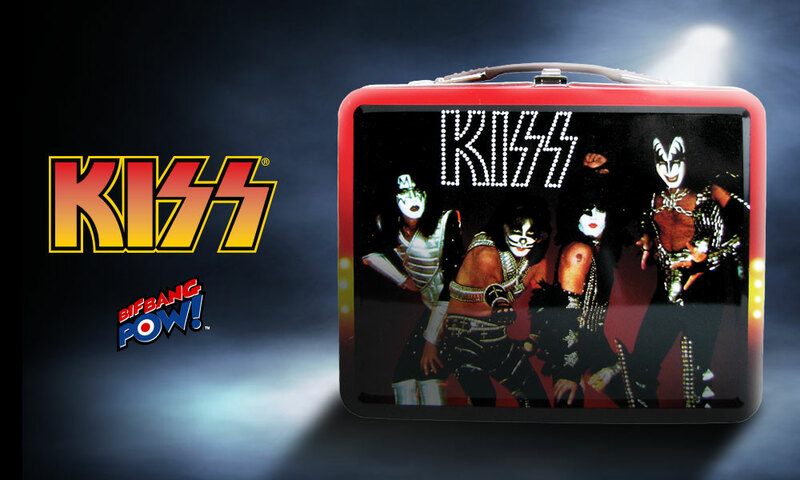 The new KISS Classic Tin Tote is an incredible recreation of the original lunchbox from 1977. 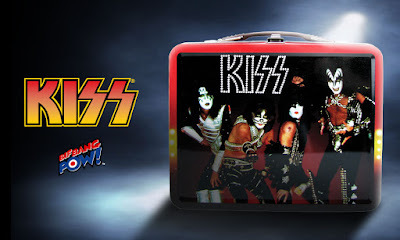 The front and sides of the tin tote feature vintage images of KISS as they performed live in concert. While the back has an image of the entire band with the KISS logo. It measures 8 5/8-inches wide x 6 3/4-inches tall x 4-inches deep. Add this KISS tin tote to your collection today and own a little piece of KISS history.